If you’ve been thinking about buying a car for the first time, you might not be too sure where to start. It’s important to determine your budget, and deciding on what make, model, body style, color and features you want can be overwhelming. That’s why our used car dealership in Indianapolis, IN, wants to help make your first car-shopping experience simple and stress-free. Check out these tips for first-time car-buyers, then stop by our Indianapolis dealership to buy the car you love. Consider what you’ll be using your vehicle for as you browse our used cars for sale in Indianapolis. If you need space for family, friends and gear, a pre-owned SUV, crossover or minivan could be the right choice for you. If you have a long commute and want a fuel-efficient sedan, we have plenty of eco-friendly models on our lot. Those who are planning weekend excursions or frequently drive in the snow should explore our lineup of all-wheel drive vehicles. How Do I Determine My Car-Shopping Budget? One of the first factors to consider is how much money you’re willing to spend on your first car. Are you planning on buying a used car outright or financing a new car with an auto loan? If you would rather pay in full instead of paying off the balance of your car throughout the next few years, Hubler Automotive Group has an incredible selection of used cars from all makes. Whether you’re interested in a pre-owned Chevy, a used Ford or something else entirely, we have the expansive used car inventory you deserve. Those who plan to finance their first car have a bit more flexibility when browsing our inventories. Depending on how large of a down payment you’re prepared to put make when you sign, you can even buy or lease a new car from one of our dealerships. It’s important to know how much you can afford as a down payment, as well as how much you can spend on monthly car payments. Do you feel a bit readier to buy or lease your first car? Schedule a test-drive at our Indianapolis used car dealership to find the perfect vehicle for your lifestyle and budget. 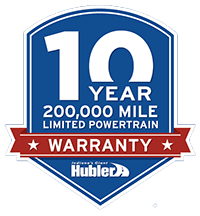 With a variety of dealerships that sell a range of brands including Honda and Chevrolet, the Hubler Automotive Group is the ideal place to buy your first set of wheels. Contact our used car dealer in Indianapolis, IN, for help with finding the right car, test-driving a car or acquiring an auto loan with competitive rates. We hope to see you soon!